The concept of waist training has been around for quite some time now. The use of corsets to sculpt the body to look slimmer has been in practice from the beginning of the twentieth century. In recent times, it’s Kim Kardashian who has brought a lot of attention to it — that’s no surprise given that she has over 124 million followers on Instagram. She has shared several images of her sporting waist training corsets and proclaiming her love for them, which has led to several people either following in her footsteps or vehemently criticizing her. 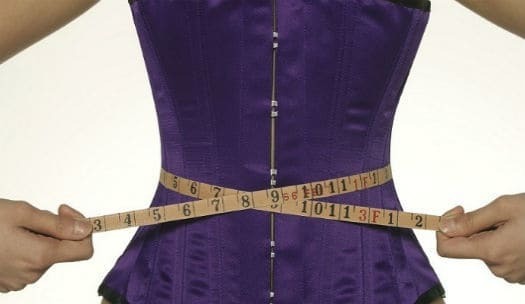 Waist training essentially involves the wearing of a constricting undergarment to make the waistline appear slimmer. It’s believed that wearing waist trainer over a period of time trains the waist (your midsection as a whole) to maintain a slimmer shape and remain firmer. It’s primarily fueled by the experiences of celebrities and fitness trainers, who claim that it has benefited them. With the increase in celebrity endorsement of waist training, which includes Jessica Alba, a number of people have tried it out to varying results. You can learn a lesson from their (mis)adventures that blindly following a celebrity isn’t advisable. So, before you jump on this fad fitness craze bandwagon, it’s important to understand how you should go about it and what the potential dangers or risks associated with it are. How to Shop for Waist Trainers? Waist trainers are also referred to as waist cinchers. There a number of types of waist trainers and the one that’s ideal for you will depend on what your requirements are. For example, do you want a waist trainer for everyday usage or are you looking for one that you can wear while working out? There’s variation in the construction and design of waist trainers as well. Traditional corsets usually have laces at the back that’s used to either tighten or loosen it, while spandex is typically used to make cinchers and have hooks in the front. The key here is that irrespective of the type of waist trainer you use, they won’t magically lead to you losing inches off your waistline. They will create an impression of a slimmer waistline, but the actual reduction of the waistline will happen through exercising regularly and eating healthy. Waist trainers do provide certain physical benefits that are temporary in nature such as making your waist appear slimmer and thereby creating an impression that you look thinner. There are certain health benefits associated with wearing corsets and other forms of waist trainers as well. Firstly, it provides much-needed support to your back and spine and relieves a part of the pressure on it. This also helps in correcting your posture by making sure you sit upright at all times. People who suffer from scoliosis, which is the sideways curvature of the spinal cord, are required to wear back braces. Waist trainers can be a substitute for that and at the same time make you feel good about your body. In regards to posture correction, it can be said that waist trainers can have a lasting impact. This is so because the waist trainer will constantly remind the core muscles in your body to be engaged, which over time will result in lasting posture correction. However, it needs to be kept in mind that the waist trainer shouldn’t be too tight. Spandex based waist trainers are ideal for this particular use. Waist trainers also provide abdominal support. Some manufacturers of waist trainers claim that the material they use to make waist trainers focus specifically on unwanted fat in the abdominal region and burn the fat, thereby helping you lose weight. While this hasn’t been proved, many users have reported success with it. While the heat created in the abdominal region isn’t significantly large, it does help burn off some calories that aid in weight loss. The closest thing to this is the sauna suits worn by athletes to lose excess water weight. It’s a temporary loss of weight at best and will dehydrate your body and lead to other complications if you’re not careful. An indirect benefit of waist training or wearing waist trainers is that it prevents you from overeating. Since it pushes down on your abdomen, you will not be able to eat too much, which in turn will ensure that you don’t put on any more weight. There are some well documented risks related to waist training. The one that medical professionals highlight the most is that the internal organs located in the abdominal region get pushed into unnatural positions within the body because of waist trainers, which can lead to severe complications if the waist trainers are worn for prolonged periods of time and if they’re worn too tight. At the same time, blood flow is hindered, which isn’t good for the body either. In regards to corsets specifically, it’s well-known that they sometimes cause difficulty in breathing. So, the key here is to understand how the body functions and ensure that waist training is done keeping these factors in mind. Don’t wear waist trainers extremely tightly or for several hours at a time. If you wear a waist trainer while working out, then make sure that you can breathe comfortably even after ten to fifteen minutes into the workout and that the exercises you engage in aren’t exerting excessive pressure on the abdominal region. Now that you are aware of the benefits and risks associated with waist training and want to go ahead and give it a try, it’s important that you purchase the right waist trainer. The factors that you need to take into consideration while buying a waist trainer are the material used to make the waist trainer and its size. Unless you have allergies, spandex or latex based waist trainers are the best ones. This is so because latex adjusts itself better with the body shape and size and provides adequate pressure or compression without being overly constricting and tight. As manufacturing technology has advanced, the quality of latex has improved significantly. In case you have allergies, then cotton or other natural fabric based waist trainers would be ideal. In regards to size, remember that purchasing a waist trainer that’s one size bigger is always better, especially if your actual size falls in between. Think of waist trainers as bras, the right fit is of utmost importance. If the waist trainer bites into your body/skin on wearing it, then it isn’t the right size for you. With all the press lately​, and ​celebrities swearing by ​the benefits it's understandable to want research the potential dangers of waist training. ​Ultimately it means that you’re conscious of the need to have a healthy and fit body. ​it’s important that before you jump in you do a bit of research and understand what ​this new fitness trend​ is all about. 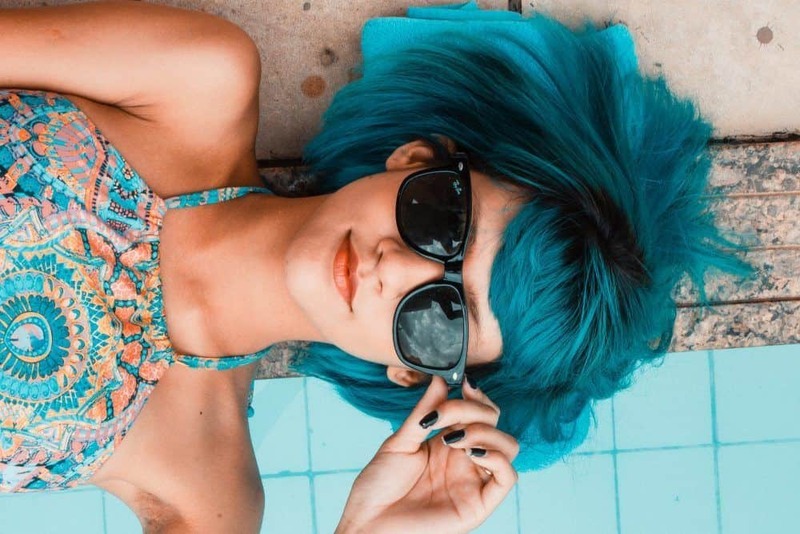 While you can’t believe everything you read online, the good part is that fitness trends as popular as waist training attract a number of opposing views. Read up as much as you can find about waist training. Read the accounts of the fitness trainers who have tried it, of regular people who tried it and written blog posts and of experts who have expressed their views. You should also check out the reviews of various types of waist trainers to identify the one that’s ideally suited for you. Dita Von Teese, a well-known burlesque dancer, and entrepreneur, who knows what she’s talking about in relation to wearing corsets for body modification says that the current trend of wearing waist trainers has its benefits. In an interview with Allure, she said that while it’s true that corsets and other forms of waist trainers can modify the body and it also has certain health benefits such as support for the back and posture correction, it definitely isn’t a shortcut to losing weight. It can’t be viewed as a substitute for healthy eating and exercising. In fact, she says that waist trainers are a slow way to lose weight. Finally, it needs to be mentioned that young girls (or boys) should avoid waist training. Their bodies are still growing and waist training might hinder the natural growth of the body. Typically, the human body stops it’s natural growth somewhere between the ages of 18 and 21. So, if you do want to try out waist training, wait till you at least turn eighteen. At the end of the day, if you wear waist trainers for the right number of hours and not too tightly, they can aid in you losing weight slowly over a period of time, apart from giving you a sculpted figure.